Club Penguin Cheats by Mimo777 Club Penguin Cheats by Mimo777: Club Penguin Newspaper This Week! I love the bean bag chairs! The newspaper has lots of talk about ninjas. Sensei even says he has big plans for ninjas. 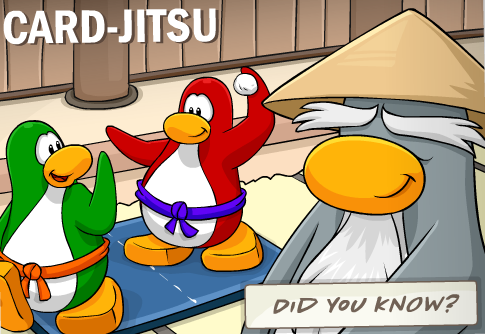 I think that means Card-Jitsu Water (or possibly Snow) will be here in a couple of months! Awesome! And, one of my all time favorite parties, The Fair, will be here Sept. 3rd! Woot! Looks like Club Penguin has tons of cool stuff coming soon. What are you looking forward to most? YAY :D THE Fair Can't wait! I just CAN'T wait for the Fair!I'm also looking forward for the new catalog later today! I can't wait for the fair to come! i hope they have my fav game the puffle paddle game.THIS IS BEAST ROCK ON CP!WOOT WOOT! 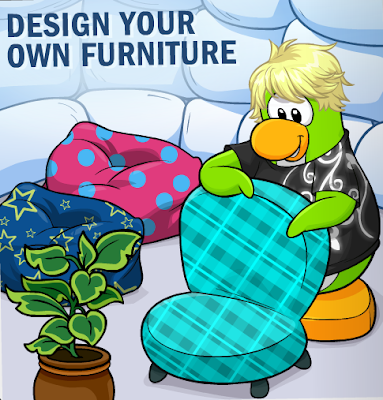 I am excited for the new catalog and the Fall Fair, but Disney ruined Club Penguin. Club Penguin was MUCH better when I joined in March 2007. I can't wait for the fair! It has to be my 2nd all time favorite party, and Card Jitsu?! I'm so excited! Who can wait? Not me! Followed by the furniture, which has to be awesome! The bean bags wll fill my igloo, most definitely. I can't wait for the new play, I can finally buy all the capes! Capes are my thing, ;). September will be soooo awesome! Expecially the end, because that's when my birthday is! That Also means Rockhopper is coming! WOOT!THE FAIR CAME OUT ON MY B-DAY LAST YEAR AND NOW IT IS THE DAY BEFORE!YAYS! TE FAIR IS ALWAYS MY FAVE PARTY!!! What ever happened to the water party like the ds game said? I think it will be card jitsu snow because we read left to right. Yeah ! The fair is the coolest and i love its games ! 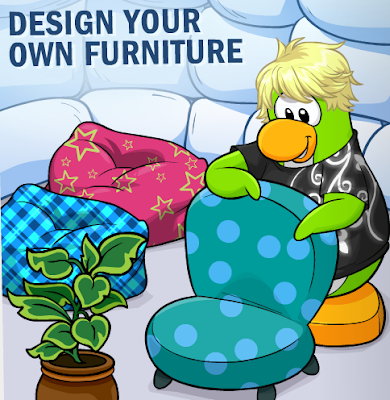 And the furniture catalog is also awesome ! I just can't wait ! the fair is my fourth favorite party. (my first fav is the medieval party and the second is music jam and the third is halloween party. Hope they dont return lots of stuff at the fall fair..which would make it fail fair! hope snow dojo is next! Aww, my membership is expiring Sept 2!!! :( Well, least I can enjoy the free items I can get for non-members until i buy a new membership card. Wasn't It called The Fall Fair Not the Fair? i'm psyched. Now I gotta buy a bunch of furniture so I can decorate it. ~~~~~~~~~~~~~~~~~~~~~~~~~~~yeah, why aren't they doin the summer water party anymore? what about the windows at the pool will they break again???? I think the Adventure Party replaced it. You never know, they might have another Water Party someday. Oh. Well maybe you can save up a few dollars and buy a month membership the month of the Fair. Yea, I bet it will be awesome! I wonder if I can make pizza patterns for our chairs and stuff. I bet they will and guess what. The new Club Penguin Game Day Wii that comes out next month will have Puffle Paddle. It shows it in the Trailer and a screen shot of the game. Yea, and don't forget the Club Penguin Game Day Wii that comes out September. Woo! Lets hope so. Then we can get the Rockhopper Stamp. cool! 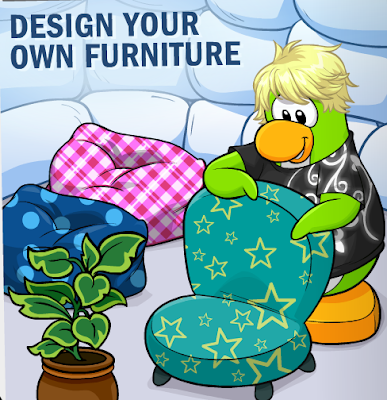 also my membership expired today,and it is unfair there is pretty much nothing to do on cp without a membership. Poor you, I get the monthly recurring one so it never runs out. so cool the fair comes out on my 13 birthday! Yea, one of my favorites. My other favorite was the Festival of Flight. I hope they bring that back next year. It might be. But the Water Gem was put on before the Snow Gem when Sensei gives you information on the Amulet. If you click it when your talking to Sensei in the Fire Dojo, Sensei will give you the info on it. i joined club penguin after the Fair so i don't know what its like but ill find out soon!I saw a vid of the water party and it looked awesome!Waddle on and tip that iceberg! Maybe you can save up for a month membership and buy it September. The Fair is one of mine, too. I joined during the last few days of one. So, the Fall Fair is my birthday! It really depends on how you look at it. Disney has added a lot of pretty awesome stuff and has also increased the ammount of people that play. Disney has done a lot to help CP. So am i but i go to school on the 2nd of september but i move up to YR4 cause im in england.Good look at school but when you get back from school,enjoy an hour of club penguin! Waddle on and let me,mimo and the iceberg what u think! Definitely The Fair is what I am looking forward to the most! 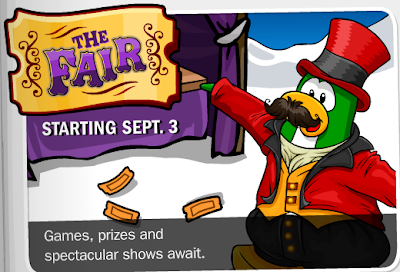 The Fair has always been my favorite Club Penguin party, I was there when the first ever Club Penguin Fair came out. and back then it was called the Fall fair. So yea really excited for the Fair! I know... it was like my fave party.